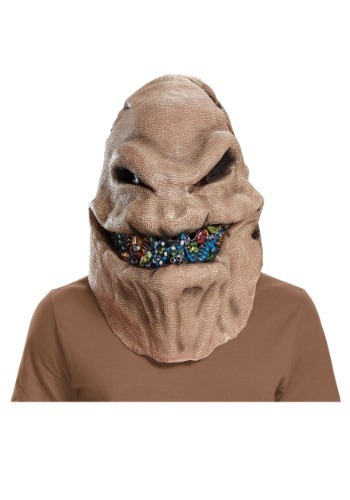 Despite being widely known as "the shadow of the moon," Oogie Boogie is also famous for his insides. On the streets of Halloween Town, everyone knows the components of Oogie's guts and it isn't pleasant. The Santa Claus-napper is filled to the brim with grotesque creepy crawlies! The monstrous brute is so stuffed with insects, bugs spew from his mouth whenever he talks. It's a really nasty habit, but Oogie actually doesn't mind. He thinks it amps up his scare factor. And we definitely agree! Although, if you want to dress as the sadistic Santa abductor then the thought of consuming bugs is probably enough to make you hurl. But don't worry bud, we have a solution to exterminate this pesky problem. 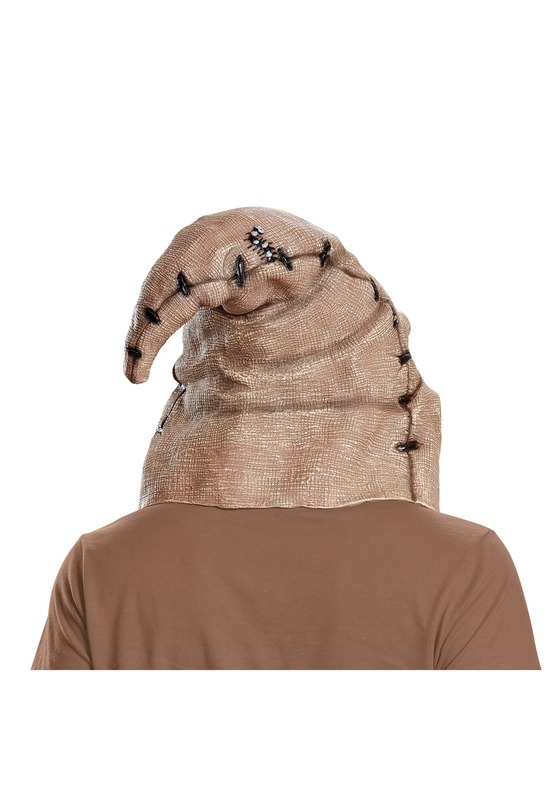 You can still be Oogie for Halloween without choking down insects . Designed to look like the boogeyman's face, this mask features slits for eyes and a creepy insect-filled smile. Wear it proudly but please don't try and kidnap anyone dressed as Santa; we'd all like presents on Christmas!